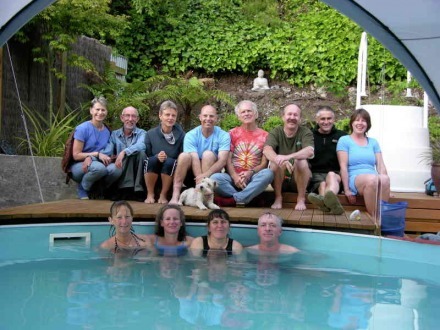 Nestled on the Hill in Napier is Aquatic Bliss, Jennfer & Mike's eco-friendly therapeutic pool. Solar heated and, when needed, uses an efficient natural gas heater to maintain the temperature at 35 C. Using the Grander water revitalisation system the pool is kept clean and as natural as possible using minimal chemicals. The pool is also accessible from off-the-road parking to a ramp reaching changing, toilet, & shower facilities. 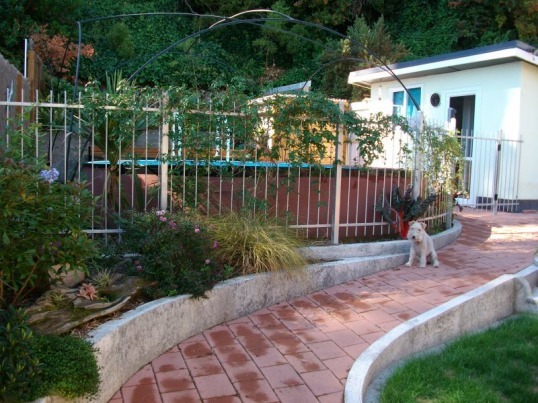 Access to the pool is via transfer bench or railed stairs. 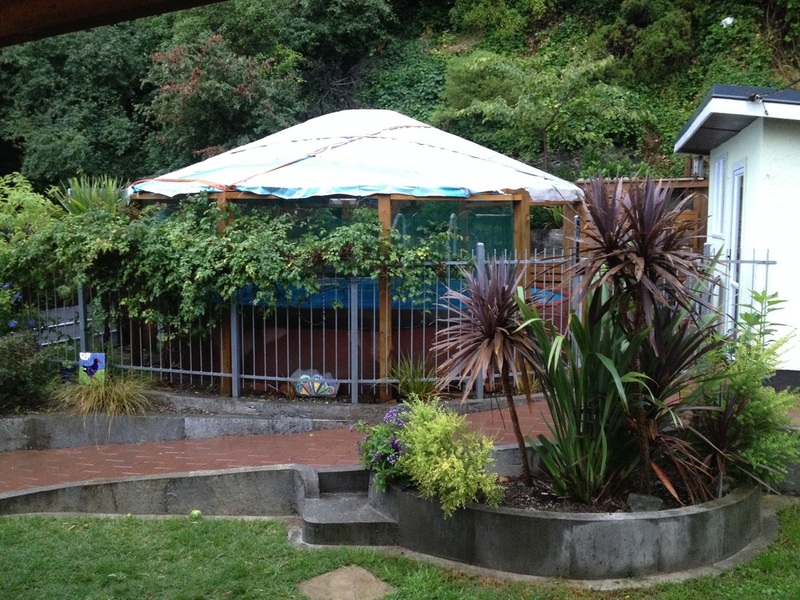 The pool is now covered to with a yurt to keep out harsh rays and rain - but open air via the side to lush greenery alongside.